Throughout the coldest months of the year, many homeowners are often tempted to turn their thermostats up to the highest setting they can in order to battle the brutal winters. While that may seem like the best solution at the time, in the long run that practice can actually be very energy inefficient and costly. 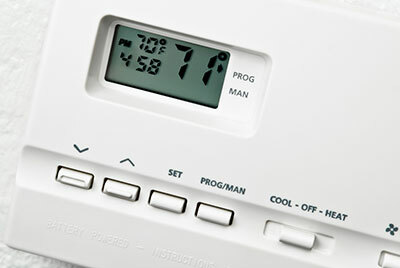 Constantly setting your thermostat to a high temperature in the winter will cause a huge spike in your energy bills. At Boerne Air Conditioning Experts, we’ve learned that in order to save money and keep your HVAC system from working too hard, there are a few ways you can program your thermostat to maximize its performance. Setting your thermostat too high when it is cold outside is the equivalent to throwing money out the window. The warmer your home is the faster thermal energy will be lost to the outside, which means the lower the temperature is inside the home, the slower the rate of thermal energy loss. Through the day, we recommend that homeowners set their thermostats to between 68 and 72 degrees. This temperature range is not too hot, but not too cold. It’s also sufficient enough to warm up the house just enough so everyone is comfortable regardless of the type of clothing they have on. During the night or when you’re away from the house for an extended period of time, we recommend setting your thermostat to between 58 to 62 degrees. While you’re asleep and less active, there is no need for your furnace to waste its energy when it is not needed. This lower temperature setting also is enough to keep the pipes through the home from freezing when the temperatures drop outside and no one is home. During winter, we also have the opportunity of being able to wear warm clothes to bed and pile on the sheets and blankets to keep us warm at night. If you’re able to stay warm under the covers, then why not try to lower your thermostat by a few degrees overnight to conserve energy? If you happen to have a programmable thermostat in you home, you can even automatically adjust your settings so your home will be warmer by the time you wake up in the morning. These digital, programmable thermostats make setting and maintaining temperatures very easy and stress free. Because you can program them in advance, you won’t have to worry about changing its settings again until the season changes. Throughout the winter, you should also consider using energy efficient appliances. Old furnaces and heat pumps take longer to heat up the inside of your home, and they use more energy in general. This can cause your home to feel colder than it really is since your furnace is taking longer to heat up. 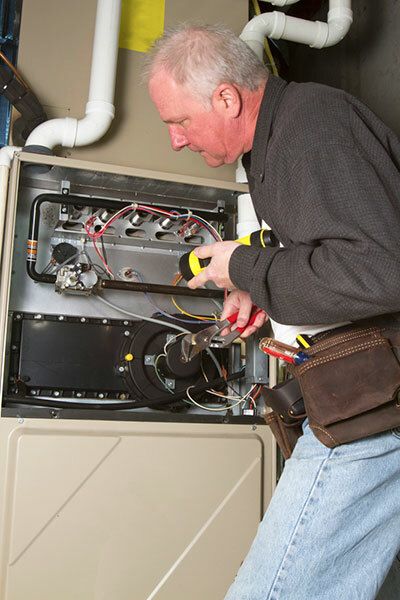 To improve how fast the furnace responds and to maintain the warm atmosphere inside your home, you should consider replacing your older furnace and other appliances with energy saving appliances. While setting your thermostat to the right temperature throughout the winter can help you save a lot of money and a lot of energy, there are many other ways to improve the comfort of one’s home. To minimize energy costs and usage, consider wearing warmer clothing and setting your thermostat to even lower than 72 degrees. Also be sure to always inspect and change your filters regularly. Allow one of our trained professionals at Boerne Air Conditioning Experts to perform an inspection and give your furnace a final tune up before the start of winter to ensure it’s ready for the season. Don’t forget to examine your entire home for drafts or leaks. Seal up any cracks, holes, or gaps in your home’s entryways, walls or foundation to prevent extra thermal energy from escaping. Be sure to use weather stripping on your doors and windows that are used frequently, and caulk or seal all additional windows and unused exterior doors. For additional benefits, you can set your water tank temperature to 120 degrees to reduce thermal energy costs. You can also open your blinds and curtains to allow the sunlight to shine in and natural heat up your home. Rearrange your furniture so that no one has to sit near a draft. Also, double check all your pipes and faucet for leaks, and insulate your pipes by covering them with a blanket. Prior to the beginning of winter, do your best to winterize your every in every way you can. Playing with your thermostat will only help so much, and you’ll be able to get more enjoyment out of your home if you make it as energy efficient as possible.